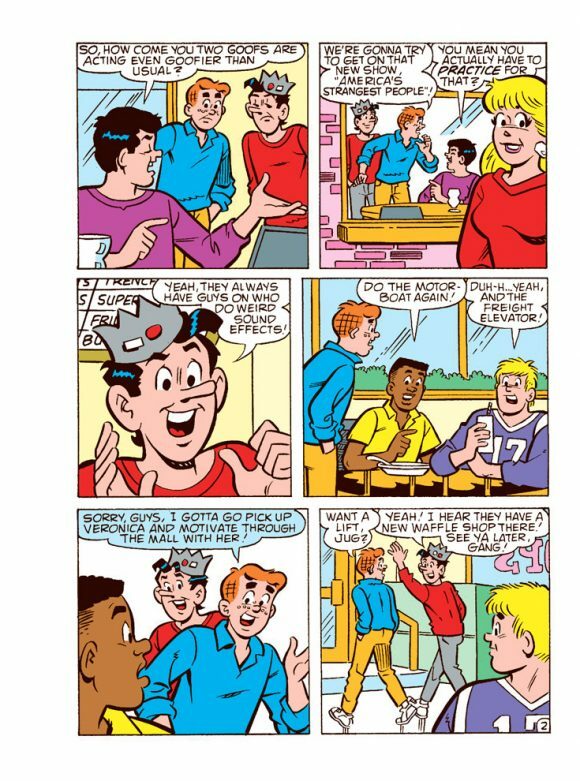 Archie, Archie everywhere. 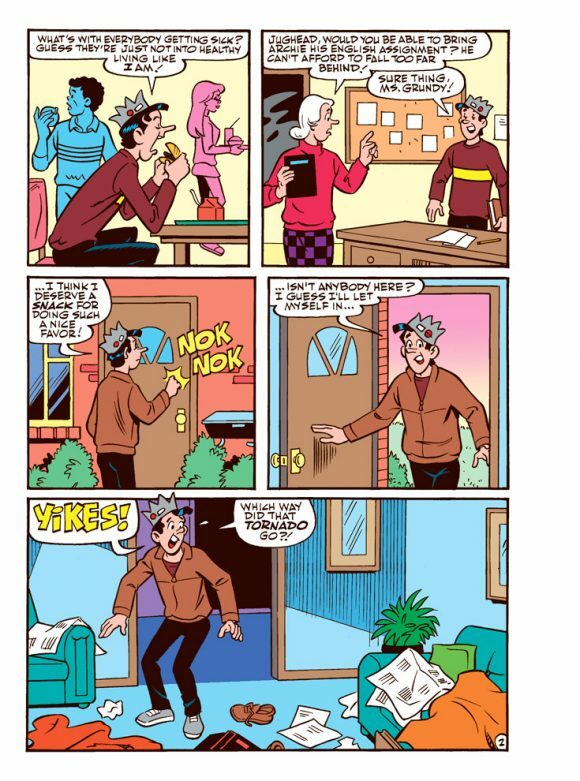 Everyone’s kvelling about the TV show Riverdale, Mighty Crusaders is coming back later this year and there’s a whole raft of modern-take Archie titles. 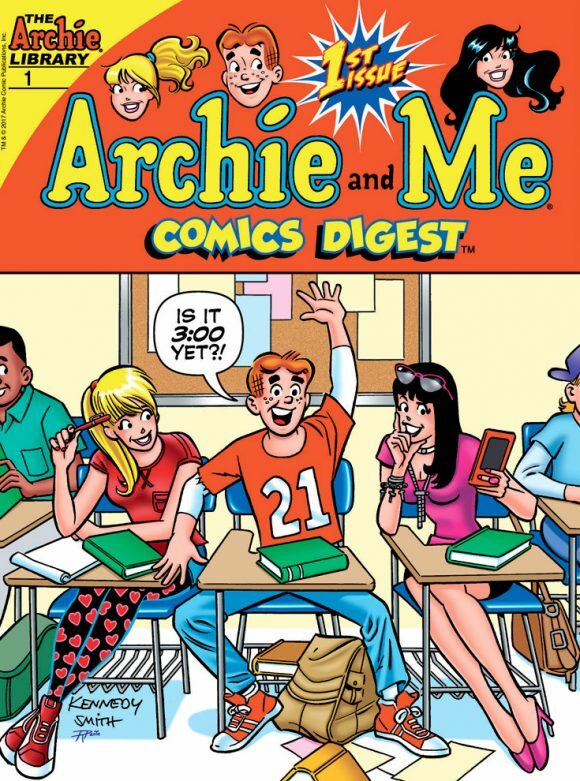 But there’s still classic Archie too and the publisher is launching its newest digest series 10/18. 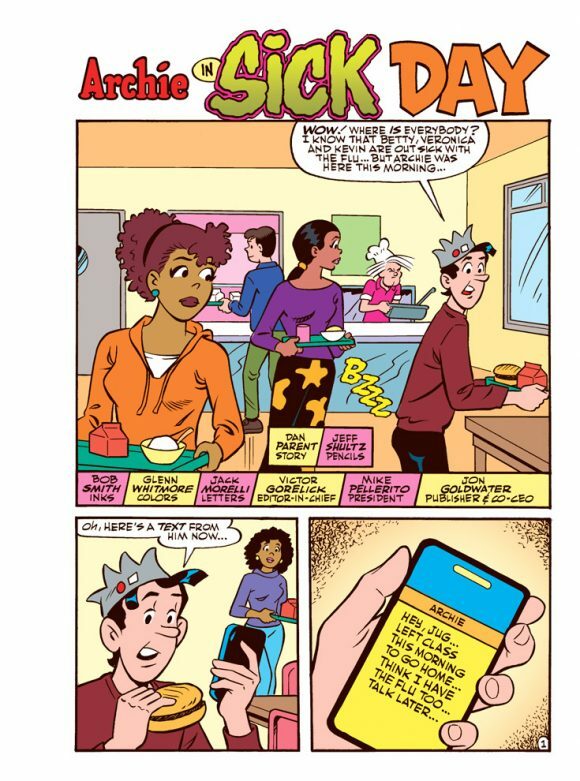 Archie and Me Comics Digest #1 features a new story written by the Mayor of Riverdale Dan Parent with art by Jeff Shultz, Bob Smith, Glenn Whitmore and Jack Morelli. 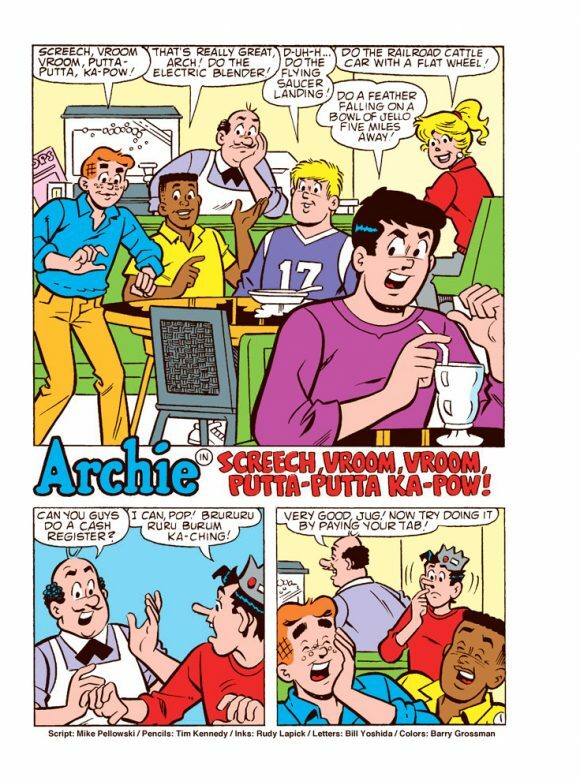 The cover is by Pat and Tim Kennedy, Bob Smith and Rosario “Tito” Pena.